If you find yourself in Lithuania, you have gone slightly too far. The village of Eleja is as far as you can get from Rīga heading in a southerly direction – and perhaps not only in geographic terms. The capital may be the place for trendy boutiques, puzzling contemporary art and overpriced cuisine, but down here in deepest Zemgale among the wide, open fields and beneath even wider and more open skies, you might expect life to move at a slower, more soporific pace. It only takes about two minutes of conversation with Edgars Ruža, CEO of the Latraps farming cooperative, to realize how wrong that assumption is. A man of keen intelligence and a dry sense of humor, he provides a constant reminder that farming is not an industry filled with red-faced, bucolic countrymen whistling at their sheepdogs or country bumpkins chewing on straw as they fall off gateposts. "We're only four kilometers from the border but ironically, this is the center of Zemgale. We are partly a grain company, and Zemgale is Latvia's grain basket," he says in his office, which lies in the shadow of giant grain silos that are actually the first glimpse of Latvia you get on the road from Lithuania. "We had just 3,000 lats, which came from twelve farmers each putting up 250 lats. We realized we needed to be close to the railway, close to the road and in a place where there would be a lot of grain around. This looked suitable and with that amount of money, we didn't have much to choose from – but it seems to have worked out. "Since then of course we have become part of the European Union and have free movement of goods, so even the border has become less important than it was. At the moment we still operate in Latvia only, but who knows, one day..."
To say Latraps is close to the railway line is an understatement – it has a locomotive on site and the rails are adjacent, enabling it to move in 100,000 tonnes of grain and fertilisers each year and move out more than 200,000 tonnes. "If we were moving these huge amounts on road only, we would need 10,000 trucks. Using the railway is less polluting and more efficient. We would like to use it more, in fact, but that requires some investment in infrastructure. We have nine rail bases and we're trying to attract other businesses, for example in forestry, to join us to make rail a more efficient option so that instead of having big trucks on the road network we can use rail," says Edgars. Though Latraps has numerous products and offers to help its members – who are also its owners and clients – the largest part of the business remains sales of grain, beans, peas, rapeseed and similar crops. 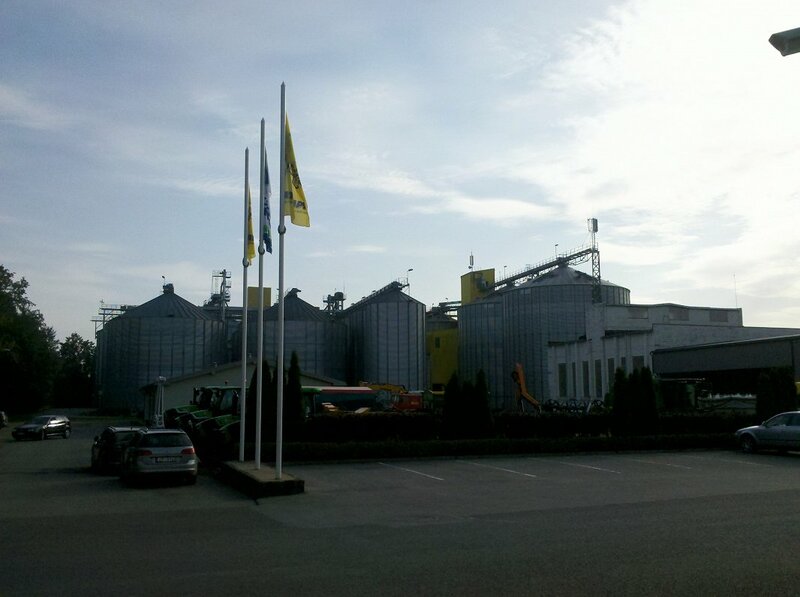 The inputs into the farming process - fertilizers and seeds - come next, followed by other services such as hire and sales of farm machinery, fuel, consultancy services and even a nice little side-line in selling malt to craft breweries from a small-scale malt house in the nearby village of Staļģene. There is one other product that has really taken off in the flood-hit and drought-stricken year: crop insurance for farmers. "I have to admit, we had none of these products on offer until this year," says Edgars. "We did discuss it earlier and everyone said, 'No, we're fine, thanks.' Then the floods and the drought hit and we heard: 'We need insurance!' So we have partnered with a German firm with long experience in this field and they have created a product for us, with backing from the state as well, which is essential." Today Latraps has around 1,000 members, equivalent to around 25% of the Latvian farming sector, making it the largest agricultural cooperative in the country. "This is one of the beauties of the co-operative model: we are organized by the customer. Alone, it is very difficult for a farmer to buy and sell on the global market. By being together, the farmers can put all thier grain together and hire a sales manager within the cooperative. The sales manager sells on their behalf so they are the beneficiaries of the process," Edgars says. "Face to face meetings are still important. Farmers tend to be quite conservative and trust needs to be earned. Of course, in a cooperative the farmer is not just the client, he is also the owner – and the client is always right, which can make things very interesting!" Looking to the future, Edgars sees cause for optimism with many young people looking seriously at agriculture as a career after a long period in which it was seen as perhaps a little too traditional and old-fashioned. "After the 1990s, the popularity of agriculture was zero. Who want to farm in mud and dirt with an uncertain future, particularly when it was easy to go abroad and earn a lot more money. But I would say that, with the help of Latraps, that situation has turned around. Farming, and particularly cereal farming, has been boosted and we see a new generation that wants to study agriculture and agronomy. If we are going to survive as European producers and compete against producers that do not have the same standards - Ukraine, Russia, Argentina - we have to be efficient. In the end it is consumers who decide on what sort of farming they get in their choices about what products they are prepared to buy." Both information technology and product innovation can help Latvian producers move up the value chain just as much as they can help any Riga FinTech start-up hit its targets, Edgars believes. "For example, from wheat you can produce bio-plastics, you can use starch in an unimaginable variety of ways. Theoretically you could build parts for a car. 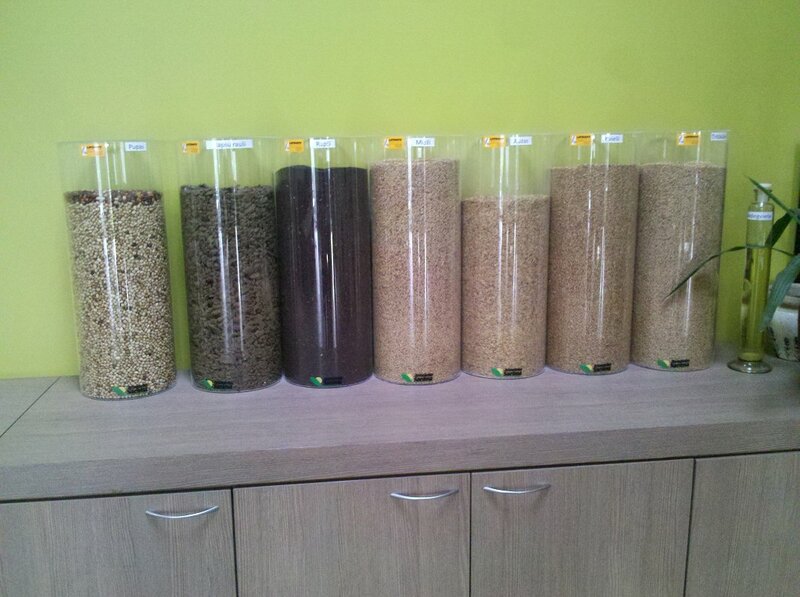 Essentially this is still food, but we're looking towards deeper processing of grain. One thing is to load grain in a vessel and get paid for raw materials. Or you can produce value-added raw materials, or a finished product. These are the things we are looking at now." Even something as typically agricultural as driving a tractor is now something that involves much more than just dragging a plow or spraying a field. "A tractor these days is a computer. If you want a new tractor driver, you need a student from IT," says Edgars. "It is a precision technology connected to GPS, performing calculations, receiving and generating data. And this is only going to increase. Tractors will react to markets in real time, drones will be used to see how crops are developing and to deliver precision spraying of exactly the right amounts needed in different parts of a single field. It will be precision farming."